In each issue of Today’s Veterinary Practice, Pet Health by the Numbers correlates article topics with statistics provided by Banfield Pet Hospital (banfield.com). 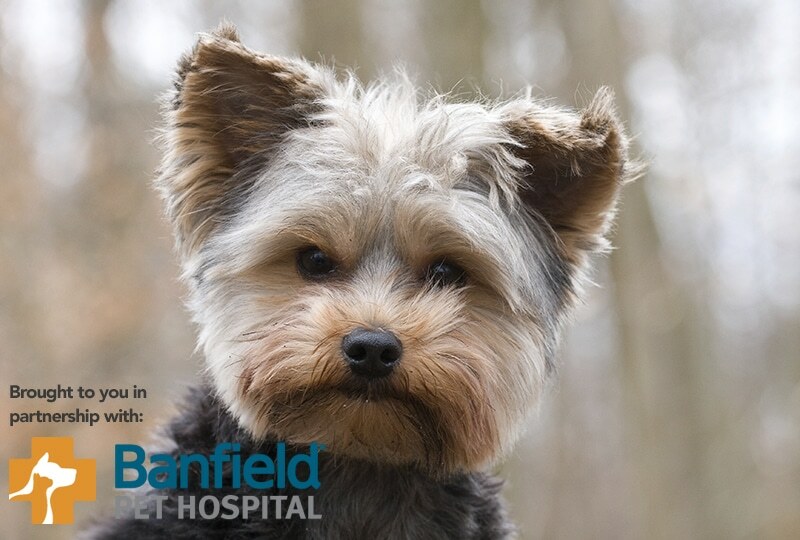 These statistics are extracted from data collected from the medical records of nearly 2.4 million dogs and 480,000 cats presented to more than 890 Banfield Pet Hospitals in 2014. 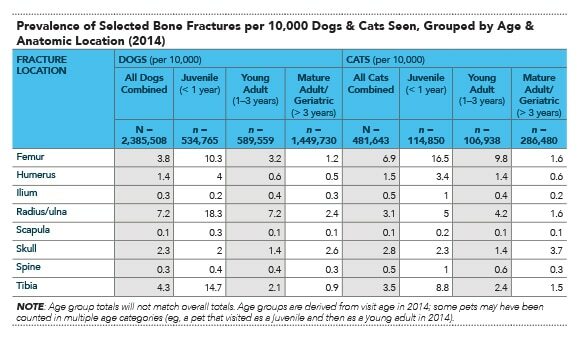 The following tables outline the prevalence of selected bone fractures in dogs and cats presented to Banfield Pet Hospitals in 2014. Fractures are discussed in A Practitioner’s Guide to Fracture Management, Part 1: Diagnosing Fractures & Choosing a Fixation Technique. In contrast to dogs at university referral hospitals,1 the Banfield primary care data contains far fewer ilial category (also includes acetabular) fractures, suggesting that ilial and acetabular fractures may be underdiagnosed in general practice compared to appendicular fractures, or that (less likely) they are of low overall incidence but are more likely than appendicular fractures to be referred to specialists. Radial fractures in dogs are higher here than previously reported at university referral hospitals,1 which suggests that an unexpectedly high number of toy dogs with radial fractures are treated by external coaptation (cast, splint) in local practices, and are, therefore, at risk for later nonunion. Further, more detailed evaluation of the Banfield database would be of great benefit to veterinary science. Johnson JA, Austin C, Breur GJ. Incidence of canine appendicular musculoskeletal disorders in 16 veterinary teaching hospitals from 1980 through 1989. Vet Comp Orthop Trauma 1994; 7:56-69. Unger M, Montavon PM, Heim UFA. Classification of fractures of long bones in the dog and cat: Introduction and clinical application. Vet Comp Orthop Trauma 1990; 3:41-50. Whitney WO, Mehlhaff CJ. High-rise syndrome in cats. JAVMA 1987; 191:1399-1403.